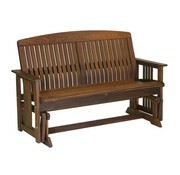 The Ipe timber that goes into Jensen Leisure Furniture is certified by Rainforest Alliance as 100% FSC® Pure. Forest Stewardship Council™ (FSC) certification is the global "gold standard" in independent, third-party forest certification. 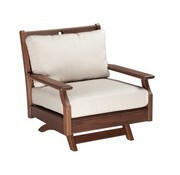 It guarantees that the wood contained in our furniture comes from well-managed forests. The FSC logo and "Chain of Custody" number branded on Jensen products allows you to track the wood back to the forest where it originated. 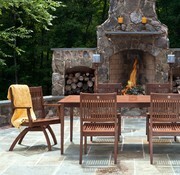 Our Ipe timber comes from the Chiquitania tropical dry forests of Bolivia. Because of the nature of these forests, trees grow very slowly, producing some of the world's strongest and most durable timber species. 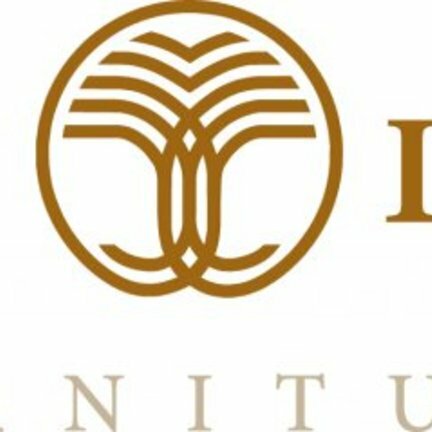 Our trees are allowed to grow to over 100 years old before being carefully harvested. 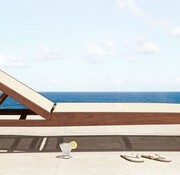 The Topaz Chaise is created of 100% FSC Ipe solid heartwood timber by award winning Italian designers Edi and Paolo Ciani. 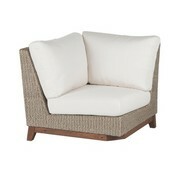 A clean and contemporary piece to enhance an expansive outdoor patio, garden or poolside. 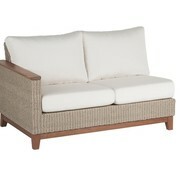 The Coral ottoman is the perfect addition to the lounge chair for feet up relaxing. 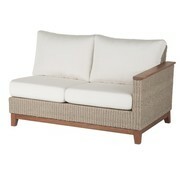 The ottoman is designed in all-weather wicker. 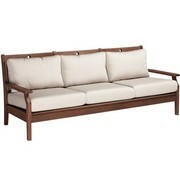 The weave is on a commercial grade powder coated aluminum frame and the base is made of FSC certified Ipe timber. 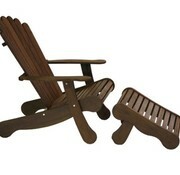 The Lincoln Glider is designed in Ipe timber which is incredibly strong and dense, with very high wear durability. 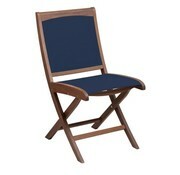 A handsome chocolate brown when new, the sun gracefully transforms Ipe to a mature, elegant silver patina. 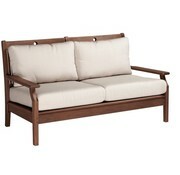 The Opal Loveseat is designed in Ipe timber which is incredibly strong and dense, with very high wear durability. 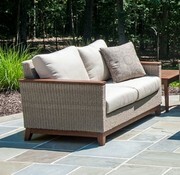 A handsome chocolate brown when new, the sun gracefully transforms Ipe to a mature, elegant silver patina. 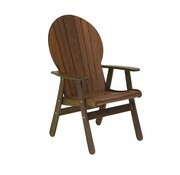 The Opal Swivel Rocker is designed in Ipe timber which is incredibly strong and dense, with very high wear durability. 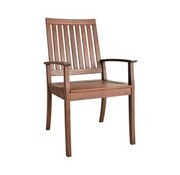 A handsome chocolate brown when new, the sun gracefully transforms Ipe to a mature, elegant silver patina. 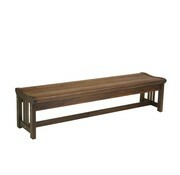 The Lincoln bench is designed in Ipe timber which is incredibly strong and dense, with very high wear durability. 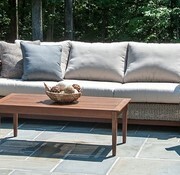 A handsome chocolate brown when new, the sun gracefully transforms Ipe to a mature, elegant silver patina. 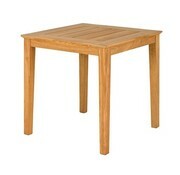 The Opal table is designed in Ipe timber which is incredibly strong and dense, with very high wear durability. A handsome chocolate brown when new, the sun gracefully transforms Ipe to a mature, elegant silver patina. 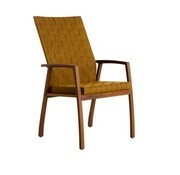 The Richmond arm chair is designed in Ipe timber which is incredibly strong and dense, with very high wear durability. A handsome chocolate brown when new, the sun gracefully transforms Ipe to a mature, elegant silver patina. Seat cushion sold separately. 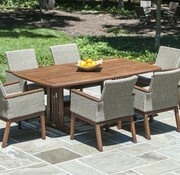 The Tivoli collection is made from 100 percent FSC certified Roble, a native hardwood from Eastern Bolivia. It has been known for decades in Europe as a premium garden furniture wood and is highly valued for its outdoor stability and durability. 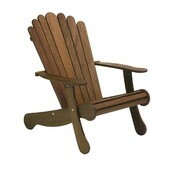 The Adirondack Foot stool is the perfect addition to the Adirondack chair and provides the look and feel of outdoor relaxation with the piece of mind of sustainable Ipe wood outdoor patio furniture. 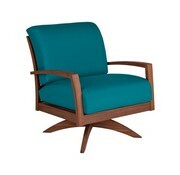 The Topaz Collection is created of FSC 100%, solid heartwood, Ipe timber. A clean and contemporary array of Dining, Deepseating and Accent pieces to enhance an expansive outdoor room or a metro, compact balcony. 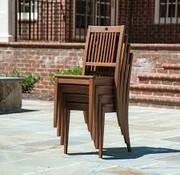 The Opal stacking chair is designed in Ipe timber which is incredibly strong and dense, with very high wear durability. 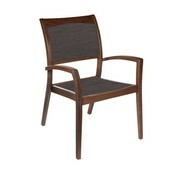 A handsome chocolate brown when new, the sun gracefully transforms Ipe to a mature, elegant silver patina.